I hope everyone has a great holiday season thus far, no matter how or what you celebrate. It's hard to believe another year has gone by and we are getting ready to celebrate our 2nd New Year's in San Diego. We don't normally do anything special but prefer to hang out at home or with close friends. Dealing with expensive meals with poor service and crowds has not been something we have enjoyed for some time, but if you are so inclined there are lots of options this year. You might be interested in the area's largest New Year's Eve extravaganza, for example, or the ball at the Manchester Grand Hyatt. 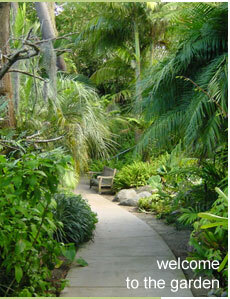 Or perhaps you will want to check out the other offerings on Sign-on San Diego. No matter how YOU celebrate this New Year's, enjoy yourself but be safe, especially if you are traveling on the roads. And please don't drink and drive! W are planning to fix a fancy meal, pop a good bottle of champagne and hang out at home in front of the fire. Maybe we'll even watch the ball drop in Times Square...at 9 PM! See you next year, and stay tuned for more thoughts on living here in San Diego. This is the tree we cut down at the tree farm, shown in my earlier post. Some transferees from the East coast say they miss the snow and cold on Christmas. Not me. I love being able to go outside in my barefeet and enjoy the sunshine. I can look at snow on TV if I want! For me, the warmer weather and lack of snow does not change the meaning or the joys of Christmas, and having family around. One of the things I enjoyed when I was a kid, many years ago (!! 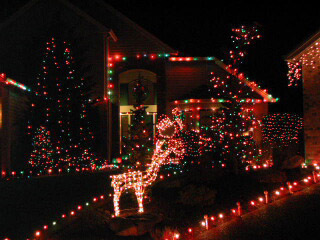 ), was driving around in the car with my parents to look at the Christmas lights. Way back then, of course, it was much simpler, adn you didn't have all the white lights but the big multicolored strands. And no fake icicles. We did the same things with our kids, until they got older and it got booorrring! They used to play a game they called "Pretty Ugly." The idea was that each one would watch out her side of the car (2 kids here) and yell out "pretty" or "ugly" depending on what each thought about the decorated houses on their respective sides. And sometime the response was simply "pretty ugly." I haven't done this sport of thing for some time, although I did watch a show on cable the other night that was featuring amazing houses decorated for Christmas, each of which went WAY BEYOND what mere mortals would attempt. Pretty impressive...and far more work and money than I care to spend. So, any special houses that you have seen in the San Diego area? BTW here is a site that celebrates the tradition of Christmas decorating. Great if you can't get out to tour the area yourself. No, it's not a typo - I didn't mean K9. K1 is the name of an indoor go-kart speedway - the largest such facility on the west coast, with a track here in Carlsbad and one in Irvine. I was there not too long ago, coordinating an expo in their large conference room, but I have to say the sight of the track made me want to try it out...perhaps in the future. The facility is very popular, especially on weekends with families and birthday parties. It is also a great place for a corporate gathering. Stop by their website, and if you are in the area, why not check them out. They are in an office park off Corte Vida Robles, which runs betwen Palomar Airport Road and El Camino Real, by Bressi Ranch. Say, this could be a fun thing with do with out of town visitors over the holidays! Or perhaps a gift certificate for that special racing fan. If you are in the mood to do something related to the holiday, you might mosey over to the Quail Botanical Gardens in Encinitas some evening. While these gardens are a treat during the day, at holiday time they are decorated at night with lights, with a range of different activities for adults and kids. Touring the botanical gardens at night with trees, plants and walkways lit up is pretty special, and a switch from driving around neighborhoods at night to see the houses that are decorated. Thoughts on Health and "Looking Good"
I haven't written about this yet, but it has certainly been on my mind for some time...at least since I got to San Diego. We seem to live in a part of the country where concern about health and physical appearances is pretty darn important. I know I have heard that about California, and certainly about LA. But it was rather noticeable to me after we left New England and moved to Carlsbad. That is not to say that people in other parts of the country are not health conscious, but that it seems more prevalent here. Why do I think this? In terms of health, there appear to be many more chiropractors (I go to one myself, Scott Lund, In Encinitas, for my back problems), holistic and alternative health professionals, acupuncturists, massage therapists, etc. I've noticed a lot of health food stores as well as grocery stores with large health food and vitamin displays. Organic foods are more prevalent here, as are concerns in general about pesticides. Keeping in shape seems to be pretty important too, as evidenced by all the health clubs, bicycle riding clubs, and people just outdoors walking and running (of course I assume a lot of that is due to the excellent weather we have year round - you can't easily take a stroll or a long run when it is snowing like mad and 20 degrees as in Boston in January). Yoga, in its many forms, is very popular here as well - but I have yet to try it out. Certainly the overall wellness and anti-aging movements and industries have had a tremendous impact on the products and services we have at out disposal. Physical appearances are also clearly something that many, but not all, are concerned with. I don't mean eating well, keeping one's weight down, and exercising. Perhaps it's due, in part, to the fact that we don't have to wear as many clothes as in colder cities. Seems to me there are many more people here with tattoos and body piercings...and you see more of it because of the weather, I guess, so it's more noticeable. Lot of shops dedicated to this body artwork, too. But even more noticeable are the many professionals dedicated to plastic surgery and body enhancement/augmentation - adding stuff here, taking away stuff, moving stuff over there, and so on. And don't forget all the cosmetic dentistry tooth stuff - whiter teeth, new teeth, diamond chips in your teeth, new and better smiles, etc. I am NOT saying that this is all just concern about appearances, since many people have physical issues or injuries that really need to be addressed through these methods - but many individuals do partake of these various methods to alter the bod you got. Perhaps it's due to the stereotypic concerns about appearances that California has been associated with, and the impact of the entertainment industry in LA. Maybe the warmer weather has an effect - more of your body showing most of the year. I think, also, that California, in general, tends to be less conservative about these kinds of things (unlike New England) and it is pretty well accepted and even admired. It became most obvious to me a month or two ago when we received a complimentary copy of a glossy, glitzy coffee-table type magazine dedicated to this business of cosmetic enhancements and all the related businesses here in Southern California (can't recall name but it was an impressively large and fancy magazine). Well, it wasn't a Holiday show, but my wife and went to another great San Diego Rep Theatre production as part of our season tickets. The show was "Hank Williams: Lost Highway". I have to admit that I am not particularly a Hank Williams' fan. I know a bit about his popularity in the early 20th Century and his brief stint as part of the Grand Old Opry. His singing style is pretty unique, if you know his music, and I was certainly aware of a few of his more famous songs. In any case, the musical was really well done. It is biographical, and the fellow who played Hank did an excellent job on his music and style. It is a funny, poignant show which captures very well the hardships endured by Hank Williams ultimately leading to his early death at age 29, a fate that has, unfortunately, befallen so many well-known singers (Janis Joplin, Sly Stone to name only a few). The picture was taken the day after Thanksgiving and is of approximately 15 dozen cookies we made, a family tradition for the last 20+ years. The recipe is an old German one for Lebkuchen, passed down through the family on my wife's side. There is great competition each year among family members who make them as to whose are the best. Of course, while the other siblings in my wife's family feel otherwise, it's true that OURS are the best...hands down! They are great eating, but good for sharing with others over the holidays. Any special traditions that YOU observe during the holiday season? Stay tuned for the answer in a later post. I wrote a few days ago about our first Christmas Tree buying experience here in California. 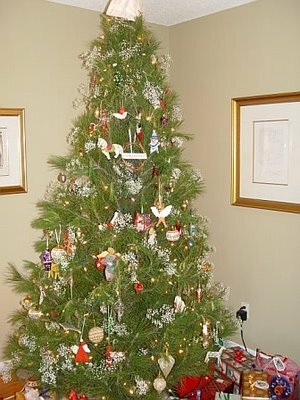 Yesterday we decided it was time to go and get the traditional tree for this year (only 3 weeks away - hard to believe). We returned to the tree farm where we bought last year's tree (see the pic) and, after a rather length y search, found our tree. Here I am...and it is! The weather was fabulous - 78 degrees, sunny, clear. It was amazing to me to think that, years ago when we were in Minneapolis, we went and bought our tree about 3 weeks before the holiday when it was 29 below 0 - that's 117 degrees colder than it was yesterday! I love being here!! This is not unique to San Diego, but it's our first experience with bartering, so I thought I'd share some thoughts, in case you are interested...or perhaps are already involved. We learned about this from our good friend, Joy, who happens to be an Arbonne Consultant. Esstentially the way it works is that people who have products and/or services they want to sell trade these for other products and services they want, and earn points for doing so. For example, you can trade the value of the oil change services your autobody shop provides for a product that another vendor in the barter system sells. No money exchanges hands, except for sales tax. The cool thing is you can use the points you earn for things you sell to others in the system for ANYTHING you want (that is offered by barter members) - travel, food, clothing, jewelry, art, gift certificates, chiropractic services, dental services, TVs, appliances, almost anything you can imagine. We were at a December annual show for participants (our first) yesterday and it was amazing the activity and the products and services being traded. Some people earn tens of thousands of points they use for all the things they want! If you are interested, check out ITEX (there are other barter systems, but this is one of the biggest). If you already in this sort of system I would be curious about what your experiences are, good or bad. If you have read my earlier posts, you know that I am not a big shopper, preferring on-line to bricks and mortar. But you also know that I made a historic move and went Thanksgiving Eve (Pre-Black Friday) shopping with my daughter. This was a first!! For those of you in the Encinitas/Carlsbad/Cardiff area, I learned about a shop that I thought could be of interest in your holiday shopping. I haven't been there but learned about it through my wife who was there the other day for a fundraising type of event and came home loaded with some fun and interesting gifts (and inexpensive) for family members. There are serious ideas as well as humorous ones, custom-made gift baskets, and much more. It's quite small, but chock full of cool stuff, according to my wife. Since we like to support local merchants rather than the large department stores, I wanted to let you know about Queen Eileen's, on the Coast Highway in the middle of Encinitas. Great location - you can hit lots of stores and have lunch or dinner as well. If you don't know about it, check it out, and let me know what you think!